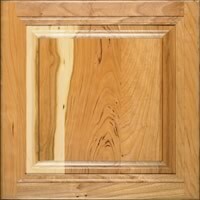 Choosing the right wood for your project. 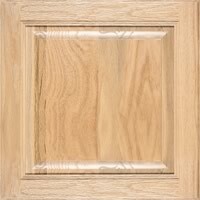 At KraftMaid, we understand the need to learn as much as possible about the type of wood that you will choose for your cabinetry project. 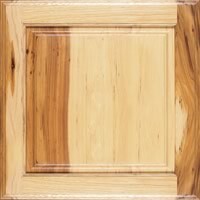 Whether you live in a country cottage or an uptown city loft, the look and feel of your room will be influenced by the natural characteristics of the wood that you will choose—and we’re here to help. From the light touches of maple to the darker hues of cherry, all woods have natural color variations even within the same tree. The inherent natural colors and variations result in a number of beautiful possibilities for your room. 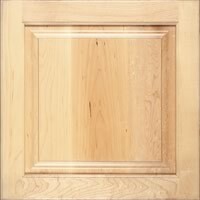 While KraftMaid finishes can either enhance or mask the material’s color variations, it’s important to understand the natural color characteristics and variations of wood to make sure you’re selecting a wood that will be right for your home. To understand these beautiful variations and select one that you will love, read about our range of KraftMaid finishes and speak with your kitchen designer for additional information. 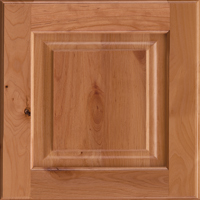 Alder is softer than other hardwood species with a fine grain pattern. In its raw state, Rustic Alder’s color can range from pale pink–brown to tan. Rustic Alder likely includes some combination of rustic characteristics such as open and closed knots, burls, worm holes, mineral streaks and sound cracks reflecting the inherent beauty of the wood. These characteristics are expected and preferred as they occur naturally in the material. Of the natural characteristics, open and closed knots are the most common in the species. 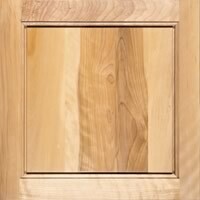 Browse through out cabinet doors to choose the door style and finish that’s perfect for your room.